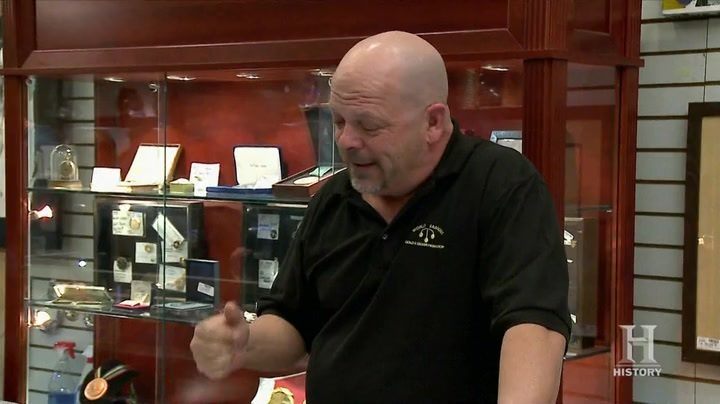 Get ready for the biggest game of the year with the Pawn Stars when a ball signed by Pro Football Hall of Famer Walter Payton spirals into the shop. Will Corey be able to keep his head in the game, or will a tough negotiation cause him to fumble? Then, when a program from the first Super Bowl rushes in, Corey is forced to make a game-time decision. Will he score before the clock runs out? And later, all bets are off when the Old Man gets to decide who has to work the day of the big game. Will the guys play by the rules or make an illegal substitution?